For a while now, the Apple iPad has been floundering to find a purpose. It's great at a very few things — light web browsing, watching movies, reading comic books — but it's too big to go everywhere with you like an iPhone, and too small and limited to get any serious work done like a Macbook. But with iOS 9, the upcoming update to Apple's operating system for iPhones and iPads, the iPad is going to get a lot more flexible. To be more precise, it's going to get a lot more like a PC. 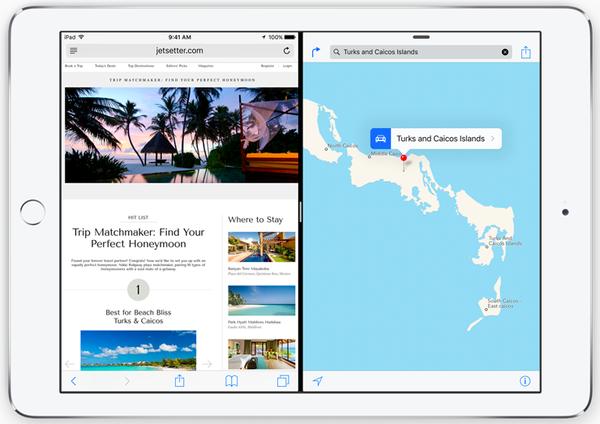 The headlining feature for iPads with iOS 9 is Split View, a new split-screen feature that lets you run apps right next to each other. The screen can be split either 50-50 or 70-30, and you can drag pictures and other stuff right across the divide. So if you want to consult a map while you're texting with your friends about where to go for dinner, you have the power. In short, Split View looks really neat, even if Windows devices (including the Xbox One) have had this for a while now. There's also a new feature called "Slide Over" that lets you quickly slide an app over the thing you're working on, so you could, for example, answer a Twitter message without having to leave the app. A picture-in-picture mode can put video, including FaceTime calls, in a box in a corner of the screen. All of this represents what's looking like a perfect compromise between the advantages of a phone — it's simple and easy to use, without getting lost in the interface — and a desktop computer, with all of your apps running in windows. 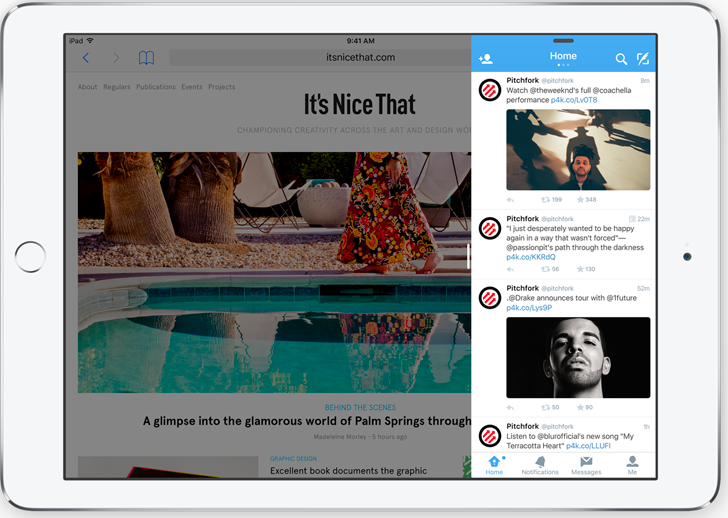 Finally, the iPad can multitask in a way that we're used to. Basically, and at the end of the day, it's going to make the iPad a lot more like a PC, but still retaining the stuff that people like about iPads. It'll still be touch-friendly, simple, and stable. You can just do more with it, all at once, without feeling the need to grab something with a keyboard just to cope. It's good news for those who want to use their iPads at work — and almost certainly beneficial to Apple's partners at IBM, which are selling iPads to their enterprise customers. And if and when Apple opts to actually release a long-rumored, larger iPad, it's going to make it that much more valuable. The iPad may have found its niche: A simple, portable computer that's finally good at actually doing things, not just consuming media.